Not too long ago, I blogged about my family’s about one year old Florida Kingsnake, Spotty Dangerous (Cecelia wanted to call him Spotty, Jack wanted to call him Dangerous, so we combined the two). He was about the only pet I could handle acquiring last year during the time of great upheaval, and he has provided an endless source of comfort and companionship to my kids, in addition to spending a week in my daughter’s second grade classroom. I can only imagine if I was an 8 year old girl handling a snake in front of my class – surely she wowed the elementary school, almost as much as when she dressed up in front of the entire school as Billy in How to Eat Fried Worms for her character book report last month. So I wasn’t too pleased when I received a phone call from my ex a couple of weeks ago explaining that when he went to pick up the kids from my sitter, Spotty was missing. He wasn’t in the dragon. Nor was he under his water bowl. Damn it. I wasn’t really up for getting Spotty III (Spotty II quickly replaced Spotty I at the old house when my ex left the top off of the cage one day - kids don't know about that), but my brother and I built this amazing terrarium stand over Christmas – what was I supposed to do with it? I just had to find Spotty. I went to the local pet store on Saturday for advice. “Your snake got out? This time of year, he will probably look for someplace cold and dark. Look for a good hiding place.” Great. That describes about half my house. In a couple of weeks when the leaves grow on the trees my house won’t see the sun until fall. Since Spotty lives in my bedroom, I figured he was around there somewhere – searched high and low, in drawers and cabinets, under the mattress, to no avail. I problem solved with a friend over the weekend – despite warnings from my cat’s adopted shelter about the incompatibility of cats and snakes, we reasoned that if Spotty had to stretch to eat baby mice there was no way he could hurt Katybell. Tuesday evening as I was reading my son his chapter from Harry Potter, my daughter called excitedly from my bedroom. “Mom! Katybell found Spotty! Katybell found Spotty! Hurry and come!” Cecelia explained that she was trying to get Katybell to snuggle in bed with her, but the cat was distracted by something in my room. Cecelia followed her, and found her sniffing in a space between the walls underneath the pocket door to my bathroom. Cecelia barely saw Spotty’s head disappear into the space. Jack grabbed a flashlight and we peeked in the narrow space – sure enough, Spotty was curled up inside. After the mouse thawed, I dangled it in front of the small space for about thirty minutes until Spotty finally caught its scent. I called to my son, and instructed him to cover the space once I lured Spotty out – he is well over a foot and a half by now – so he wouldn’t disappear back into the wall with his food. When he had the mouse halfway devoured, thus rendering him completely distracted, I scooped him up and put him safely back into his cage. Thank goodness for our cat – no one else in the house has the proper perspective and I am sure Spotty would have gone unnoticed without her keen senses. I had already planned to leave my porch door open for a couple of hours, weather permitting – I was worried Spotty might die somewhere and start to smell, and would rather him escape to the back yard than perish in our home. No more worries, now – all’s well that ends well. When I was pregnant with my first child I was a sponge for advice. Every mother I met would be inundated with questions about labor, best diapers, breast feeding or formula, best car seat, and on and on. I am sure many of those poor mothers were glad to see me waddle away. Now on the other end of the spectrum I find myself giving advice to pregnant moms to be about child rearing and discipline. I am discussing with older parents how to teach kids to respect parental authority, deal with teens who are sexually active, kids being bullied, kids on drugs and often how to communicate with their children. It seems many parents these days are either afraid to discipline their children for fear of “not being their friend or hurting their feelings” or are indifferent to their behavior. I find this very concerning. Am I the only one noticing this trend in America? I recently read some reviews of Amy Chua’s book, “Battle Hymn of the Tiger Mother." It is a memoir written by an American born Chinese mother of two teen girls. Tiger Mother is Amy Chua's own assessment of herself as she was born in the Chinese year of the tiger. She is a strict disciplinarian who micromanages all aspects of her children's lives which may include calling them "garbage", rejecting hand crafted birthday cards or forcing a 7 year-old child to practice at the piano hour upon hour without a bathroom break. She states that this was how she was raised by her Chinese immigrant parents. Her goal is to prepare her children for the harsh world reality. It is tough out there and you need to be prepared. I certainly do not agree with her harsh and humiliating tactics but she does point out that in our western culture we are raising a generation of weak children who are indulged for the sake of their self esteem. We have lost sight of the fact that children need to learn from failures, solve difficult problems, that there are rules, and that they will be held responsible for their actions. America is back sliding but are we helpless to stop it? I would hope not. I can only challenge each of us as mothers and physicians who can influence parents and children alike to put forth the energy to change the culture we have developed. Do we want to put our future into hands of adults who expect life to be handed to them on a fluffy pillow to soften their falls? We are doing ourselves, our children and country a disservice if we don’t encourage families to focus on staying together, push parenting with the goal of responsible adults even if it means some discomfort now, and being honest with our children that our country needs strong, creative, hard-working adults to fix the many problems we have created. Will you join me? To continue Fizzy's dating theme, I thought I'd follow up with this. It has been over a year since my separation and six months since my divorce. Both my brother and sister have been urging me to get on match.com for months - my happily married sister's good friend at work had luck there and my younger brother (26) in law school had luck. "Giz," they told me over the phone, "It's cool to get on match.com now! Everybody does it!" But they are both in Atlanta - way more cosmopolitan than Little Rock, Arkansas. So I have been highly skeptical. And not ready. Still not ready, but sometimes I think for me just getting into something - even a friendship - slowly, might be an important step, based upon my history. So Friday night, after dinner with a friend and a couple of glasses of wine, I took the plunge. No most of you happily married mom's out there have no need to get on match.com, so I'll tell you a little about the premise. You set up a profile, with photos and interests, not unlike Facebook. You have a profile page, with a header (It's what everyone reads first - sum yourself up in a simple sentence that will grab someone! - puke) and a ridiculous amount of space to tell who you are and who you are looking for. They give you enough room to write two essays. I wrote two short paragraphs. Anyone who wants to know more, I decided, could find out in a message. There are three ways to communicate with someone - instant message, message, and winks. The winks show a small picture of the person winking at you with a link to their profile. They tell you to "wink back or send him a message." The next morning, I had a bunch of winks. I was deflated. The winks annoyed me right away. What the hell does a person do with a wink? And some of the people winking so completely grossed me out that I wanted to close out my profile and hand back over the sixty bucks I paid for three months. I sent a message to one person that winked, trying to find out about the winks ("Are they like a poke on Facebook," I asked? Not that I've ever poked anyone) and the ensuing brief exchange of conversation was so abysmal that I vowed never to respond to a wink again - Tenet #1. Then there are all the strange messages. I don't know why many guys think it is perfectly appropriate to approach a girl they do not know with text message abbreviations. I don't even understand half of the text message abbreviations. Tenet #2 - do not respond to messages written in text slang. Tenet #3 was formed quickly - do not respond to anyone who comes up with a tag name pairing their first name with the suffix -tacular. The tag name is the anonymous name you use that goes with your profile. I'll leave you to imagine the possible variations. Use your spouses or boyfriends name, for instance. Or mine. "Hello, I'm Giztacular." Unfortunately (or not), my three tenets have severely limited my interactions on the site, which I can only manage to check for a few minutes anyway, after blogs and Facebook, at night. Oh well. Nothing ventured, nothing gained. I called my law school brother for support (who has been dating a smart gorgeous girl he met there for a couple of months) on Sunday night telling him I was completely disgusted, felt like I had been approached by a bunch of drunk rednecks at a bar all weekend (text abbreviations are kind of like slurring, after all) and wanted to close out the profile. He said, "It's work, Giz. You've got to laugh at all that, or you'll never get past it. You should have seen this lady twice my age in fishnets and bright red lipstick following me for days. There's a block function. If it gets too intense, use it. It's all anon, anyway. Edit your profile. Take your time. It will take a couple of weeks to get comfortable there, anyway." I also got advice, strangely but happily, from my ex when I called to talk to the kids Saturday morning. He has apparently been on since last summer, and has had a few relationships. I did not tell him I was on - he had already seen me there. He told me to get a couple of things off of my profile that might identify me. He talked about some missteps he had that cracked me up. He cathartically described the women he dated, briefly, as if he had been holding back for a long time out of respect for me and my presence on the dating site released him. Then he wished me luck and offered to watch the kids if I ever needed help babysitting. Wow. What a difference a year makes. Yesterday afternoon I got my first intelligent message. I came home, ran, went to get the kids, tucked them in, and decided to blog about this crazy embarrassing experience over the last few days. Now I think I'll send a friendly message back. It's nice to know there might be intelligent life on Mars, after all. Breastfeeding is one of those issues that can be extremely controversial among mothers (dads don't seem to care so much). For the record, I think breastfeeding is a woman's choice. If a mother feels for whatever reason she can't do it, I don't think we should chastise her. It's horrible that some women will approach a mother feeding her baby a bottle in public, and feel a need to comment to this stranger that the baby should be getting breastmilk. If you've ever approached a stranger and said something like that or given any sort of unsolicited parenting advice, you're nuts and should mind your own business. Just so you know. That said, I think breastfeeding is wonderful. Both for the health benefits and the bonding. I think that we should provide every possible resource (finances, time, moral support) to make it easier for women to give their babies breastmilk. Recently a woman at work told me that her insurance company had paid for her breast pump. Then she gave away that pump to a friend and they paid for a SECOND breast pump for her next child. I was impressed. I thought it was incredibly forward-thinking of insurance companies to pay for breast pumps. Because I might hypothetically need one someday in the future, I decided to call my insurance company to ask if they would cover a breast pump. The answer was no, which wasn't a big shock. But what really surprised me was when the woman on the phone added, "Unless it's medically indicated." Of course, I had to ask, "What do you mean by 'medically indicated'?" "Well, if the baby is premature or has an abnormal sucking reflex," the woman told me. After thinking about this a bit, I found it kind of disturbing. Basically, they're admitting that breastmilk is important and beneficial for babies, because they're providing the pump for women who can't nurse the natural way. They're saying that if a baby can't nurse directly from the breast because they're premature or have an abnormal sucking reflex, they want the baby to still have that breastmilk because it's SO important. But if the woman can't nurse directly from the breast because she has to go back to work... well, those ladies are on their own. I think that kind of stinks. Insurance companies pay for preventive care, vaccines, etc. But for some reason, they won't pay for a relatively modestly priced breast pump to facilitate a newborn getting breastmilk from their working mother. Seriously, could this country be any less supportive of breastfeeding? I think all women who manage to do it, especially when they have to go back to work, deserve a round of applause. I just got back from a trip to the ER. In my defense, it is our first trip to the ER, although not the first time I’ve freaked out about the health of my little one. My daughter is a “happy spitter.” She literally goes through about 8 bibs a day and spits up with a smile on all of our clothing. My weekday morning routine involves leaving my clothes by the door and walking around in a t-shirt until she’s in her carseat in order to avoid multiple wardrobe changes before getting out of the door. So, this weekend, as my baby spit away I didn’t think much of it. 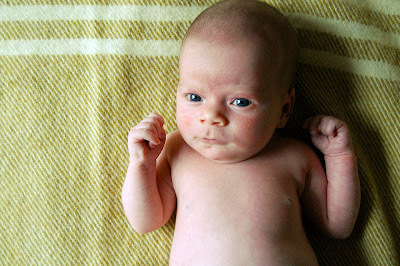 However, she was having an unusually cranky day and flipping out every time I tried to breastfeed her. Then around 3pm, while my husband was walking around with her, he called me over suddenly to see her bright yellow copious vomit! I initially tried to be cool. I specifically try hard not to flip out in front of my non-medical husband so that I don’t freak him out. However, I was pretty sure I just witnessed some bilious vomit in my already fussy child. To add to this story, she also hadn’t had a BM in 2 days! I sent a quick text to a friend and fellow resident to make sure I wasn’t being a crazy mom - and she quoted to me one of our surgical mantras - “bilious vomit in a baby is a surgical emergency until proven otherwise.” Off we went to the ER. Being the doctor in the family before my daughter was born, wasn’t too hard. I get calls from my parents or in-laws about aches and pains and mammograms and colonoscopies. I feel happy to be able to help them navigate the sometimes confusing medical landscape. However, as a mom, this knowledge is clearly both a blessing and a curse. My daughter was fine (after being subjected to an upper GI series complete with a stream of radiation and a belly full of barium). I watched the study as it was done. The radiology resident and attending reviewed everything with me on the spot. The pediatric surgery resident and attending on call stopped by to check on us and also looked at her films, and again assured me that I wasn’t crazy to bring her in. But all I felt was guilt as I looked at my little peanut strapped to the table and whimpering. I thought of her poor little irradiated ovaries courtesy of doctor mom. I cried a little on the way home as my husband tried to comfort me. Although he didn’t know initially why her vomit was yellow, he assured me he was just as worried about it. He held my hand as I told him I felt like a bad mom. I was so happy that she was fine, but felt instantly silly for being so worried. I just hope in some way my knowledge will benefit her, not just cause her to be subjected to extra probing and prodding. We've moved a lot in the last several years, and each time we kind of have to start over in the friends department. It's frustrating that each time we start to get to know people, we end up moving. And neither my husband nor I are very outgoing, so this is a huge effort. Whenever I'm at our local community center or a birthday party, I try to strike up a conversation with another mom. This involves scoping out the moms, seeing someone who looks like they're someone I could get along with and is around my age. Then if we can successfully chat for a minute, I have to work up my nerve to get her phone number and/or email address. According to Swingers, you're supposed to wait three days, right? But in that time, I could easily wash the jeans that I put her phone number into. And I'm eager to make first contact before being forgotten. Seems like it shouldn't be that hard, but it is! Do we do it at their place, ours, or a neutral location? I don't want to impose, yet our apartment is small and I don't want to drag someone over here. And do just I go to the playdate? Or is it better for both me and my husband go? You want your kid to be on good behavior, of course, but sometimes you can't control that. Then you have to socialize with the mom (and/or dad) as well. You have to make stimulating conversation. Should you bring flowers.... er, snacks? For me, this has been the hardest part of playdating. If the other mom doesn't seem to want to set up another playdate, I feel like I did something horribly wrong. I said the wrong thing, was impolite, etc. When you don't have a lot of friends, you start to doubt yourself and wonder if there's something intrinsically wrong with you. It's a blow to the old self esteem. Last year, there was a mom whose daughter went to daycare with mine, and most days, we would walk home together and talk the whole way. I liked talking to her and she seemed to like it too. The walks would last sometimes an hour, despite living two blocks away, because our kids would get sidetracked on the way home. But every time I called her to hang out on the weekend, either at one of our houses or a kiddie event, she would come up with some excuse and say no. The excuses were incredibly lame, akin to needing to wash her hair. After a while, I got the hint and stopped asking. I felt really embarrassed and rejected though. I guess she just wasn't that into me. In summary, I hate (play)dating. I can't wait to settle down. When I was seven months pregnant with my daughter, I was a resident on an inpatient rehab ward. We were having a bit of a pre-holiday slump, meaning I had all of four patients on my entire service. Of course, as a resident, I had no complaints about this. One day, someone (I can't remember who) was bemoaning the lack of patients on the inpatient ward and said to Dr. Massage, "Is there anything we can do to increase admissions?" Dr. Massage replied, "Well, Dr. Fizzy and I could go out on the street wearing bikinis. That might cause a few accidents." 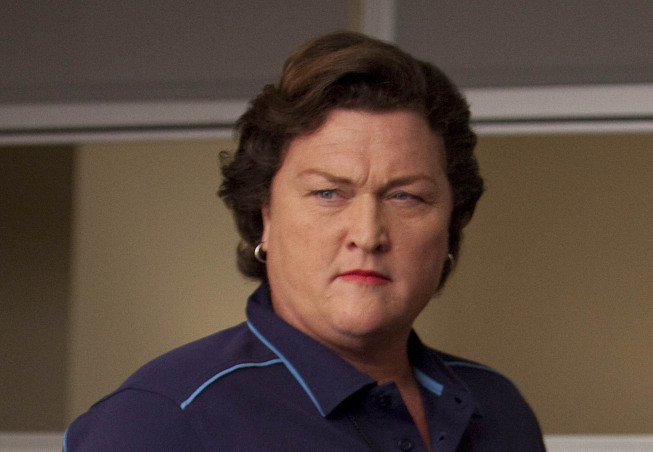 Considering, as you recall, Dr. Massage looked like Coach Beiste on Glee, I took this as an insult. Granted, it was kind of self-deprecating as well. But I'm not sure why I had to be included in this. I was sitting several feet away from this conversation, quietly doing my work, and I was kind of shocked when I heard her say that. What's the big deal, you ask? I guess it isn't really such a big deal. Except that I was only 27 and pregnant for the first time after being quite petite before, and I was not feeling fantastic about the way I looked at that moment. Every pregnant woman worries about weight gain and swelling and all that. OK, I'm sure some pregnant woman walk around feeling like they look fabulous all the time and never once feel fat, and that's awesome for you, really. But not me. And I certainly wasn't in the mood to hear someone making comments about how my appearance in a bikini might result in a serious accident. Of course, Dr. Massage never had kids, so maybe she didn't get it. Although I get the feeling if I had made a similar comment, including her name with mine, she wouldn't have appreciated it. Would a man make a comment like that? Possibly, but I actually feel like men watch their mouths more than women these days. I feel like when women make insulting comments about another woman's appearance, you really can't do much (not that I ever would anyway). Another blogger recently said that a female she worked with accused her of having fake breasts (she didn't) and she just let it slide. Or maybe men are just as bad or worse, and I'm suffering from selective memory right now. Anyway, I'm not sure if there's a moral to this story, but it's something that still sort of stings so many years later. I never thought this moment would arrive, but as of tomorrow, I will have been back at work for one full month after the birth of my daughter. When I dropped her off at daycare the first day, I didn’t think I could survive it. Now, I’m a savvy daycare mom, chatting it up with her teachers and settling into a routine. One great thing is that she seems to love it, she smiles at her teachers and is universally known as the “happy baby with the curly hair.” I survived and managed not to quit my job. I’m taking a hiatus from surgical residency right now and in a basic science lab. I hate basic science. I’ve always known this. However, when I found myself pregnant and bleeding and nearly passing out in ORs last year, I decided I desperately needed to make a change and I weaseled my way into a lab, telling myself I might love it and find my life’s work. That was a lie. I hate the lab. Even more, I know that I would rather do a completely different type of research in my career and wish I was putting things in place to make that happen now, especially since my surgical career seems to be at odds with my new mommy desires. As a resident most moms get six weeks, and six weeks ONLY of maternity leave, which includes all of your vacation for the year. I fought for eight weeks and I was extremely proud of being able to take this extra time for my daughter. However, my return to work was met with some stupid, hurtful comments such as being asked how I could leave my daughter when she was so little and how they could never do the same. But, I stand by my pride. I fought for 2 (actually 2.5) more weeks with my precious daughter. This is my life and our story and in this story that was a success. #2 - Women in Medicine really do have to be super moms. Shared parenting, at least for now, is a myth. I feed her (I’m breastfeeding). I change her 97% o the time. I wash her bottles and her clothes and get her ready for daycare in the morning. If I want to eat nutritious meals, I also cook. If I want to eat my nutritious meals on clean plates - I do the dishes. My husband tries, but I think only moms actually know how much moms do. I have NO idea how this will translate one I leave the lab, I’m guessing a nanny and a maid (something else we can’t afford). #3 - From now on, I will always have a twinge of guilt and confusion about my career choice. The first few weeks after my daughter was born, I was almost 100% sure that I was not going to complete my residency. As time passes, I feel more capable of finishing. I crave mentors and therefore read this site like a maniac. I could write a blog entry every day about how I grapple with this issue. 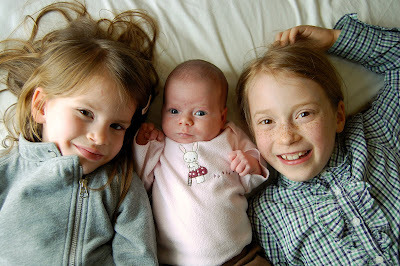 While I was pregnant I wrote letters to my daughter that I plan to give to her someday. Over half of them are in some way about my trepidation over pursuing a career in surgery and being a good mom. My own mother was a stay at home mom and she poured her energy and love into all of her children so that we could be something great. Now, I feel as if being something great is at odds with being a great mom. I had to fly out to a conference 6 weeks after my daughter was born. It was my first talk at a national conference. My parents, brother and sister drove down to see me. It went really well - a big step in my career. However, even though it felt good, my major concern was if I had pumped enough milk and all I wanted to do was get back home. I don’t have any of the answers now. I’ve decided to find peace in taking it one day at a time. "cutter" is a third year general surgery resident currently taking a 2 year hiatus in the lab and the mother of a beautiful 3 month old. She started reading this blog during intern year just as a source of encouragement from women in medicine, not realizing that she would soon be a mother in medicine too.